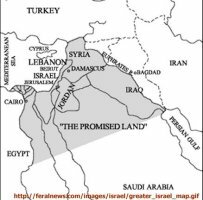 Tehran / Bin Laden "Greater Israel"
In February 2003 an audiotape purportedly from Osama bin Laden called President Bush "stupid" and claimed American war plans against Iraq were part of a plot to attack Muslim nations in the Middle East and North Africa. 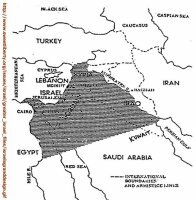 The United States' goal in waging war against Iraq is to change the regional map to benefit Israel, according to the raspy voice said to be bin Laden. "It is clear that the preparations to attack Iraq are part of a series of attacks prepared for nations of the region including Syria, Iran, Egypt and Sudan," the voice said. 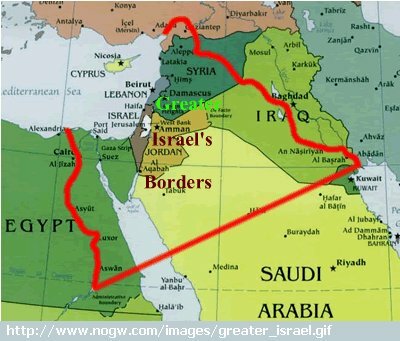 "The aim of the Crusaders' campaign is to prepare the atmosphere for the establishment of the so-called greater Israel state, which includes great parts of Iraq, Egypt, Syria, Jordan and large portions of (Saudi Arabia)," it said. This conception of a Greater Israel encompassing much of the Middle East is evidently a pervasive element of popular culture in the region, and it is easy to understand how this would be taken up by bin Laden and other propgandists. 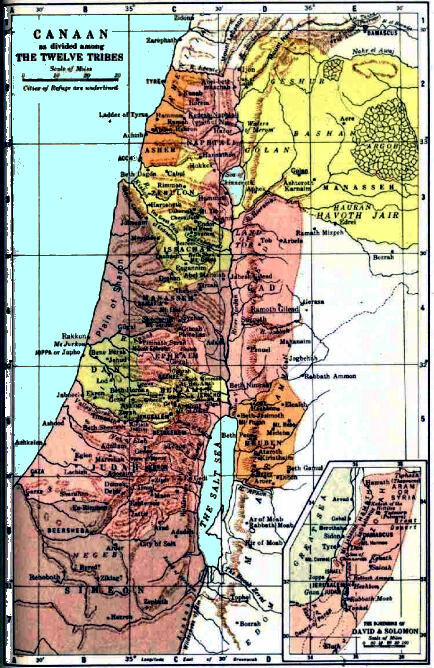 By asserting that Israel seeks to occupy the territories of many other countries in the region, it places the Palestinians on the front line of a struggle common to all people in the region. 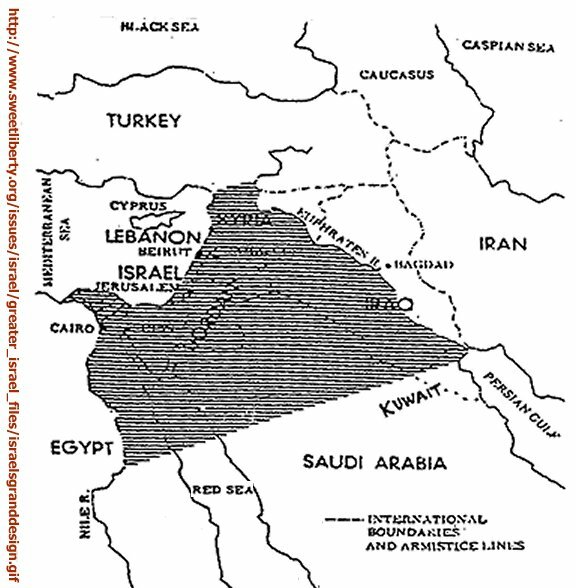 On 04 September 2001 a demonstration was held in Jerusalem to support of the Idea of the State Israel from the Nile to the Euphrates. It was organised by the movement Bead Artzein ("For the Homeland"), headed by rabbi and historian Avrom Shmulevic from Hebron. According to Shmulevic, "We shall have no peace as long as the whole territory of the Land of Israel will not return under Jewish control.... A stable peace will come only then, when Israel will return to itself all its historical lands, and will thus control both the Suez and the Ormudz channel.... We must remember that Iraqi oil fields too are located on the Jewish land." 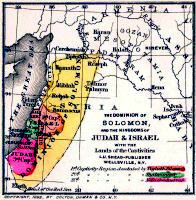 Jacob, the grandson of Abraham the Patriarch, was renamed Israel when God appeared to him when he was leaving Padn-Aram and blessed him. 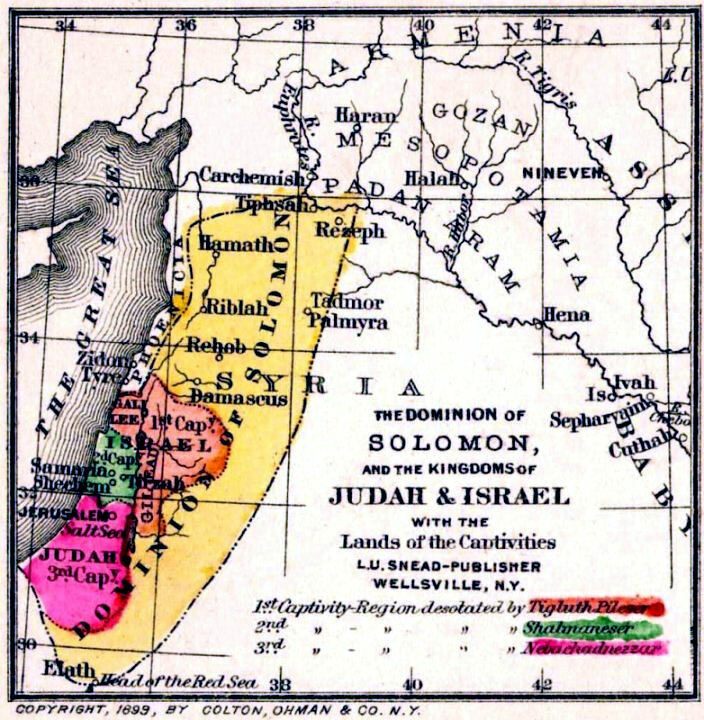 Jacob produced twelve sons, each of whom became the father of one of the twelve tribes of Israel: Reuven, Shimon, Levi, Yehuda, Issachar, Zevulun, Dan, Naphtali, Gad, Asher, Joseph, and Benjamin. 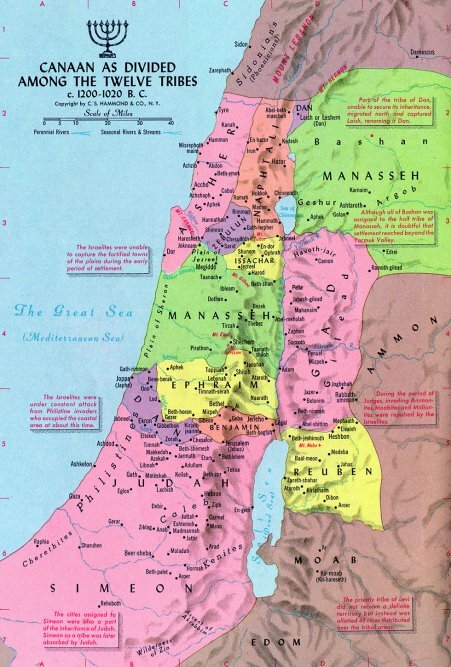 Reuven, Gad, and Menashe (the 2 &1/2 tribes) settled in their nachala [inheritance] on the eastern bank of the Jordan River. 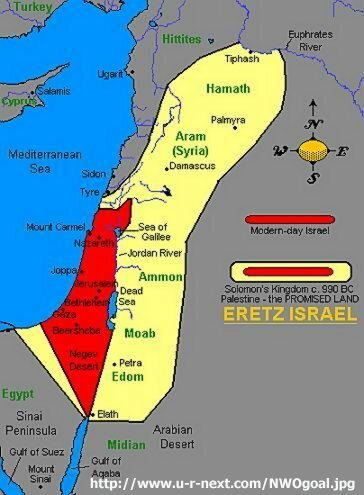 Even though they lived outside of Biblical borders of Eretz Canaan, that they still belonged to the same nation. Of course, the boundries of all of these entities are speculative, and sources are in disagreement on many points. 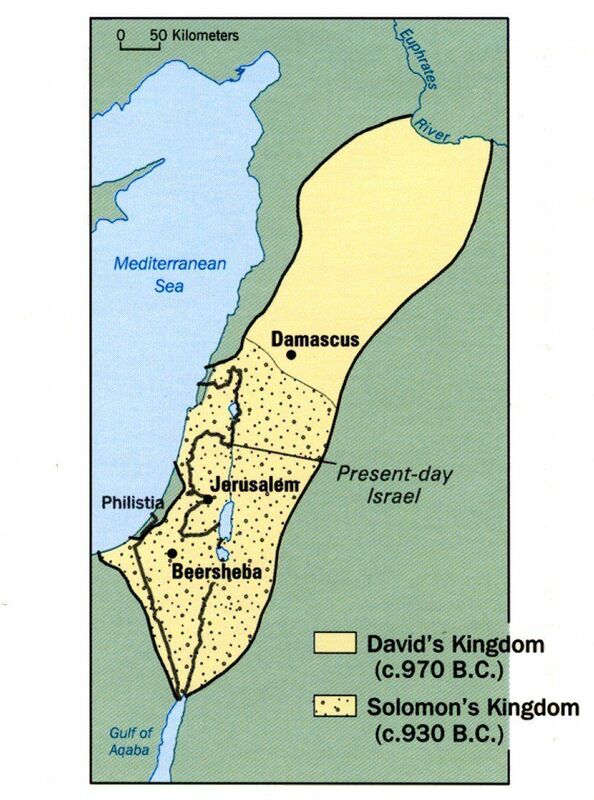 Biblical writings indicate that King David first united the Jewish tribes around 1000 B.C. 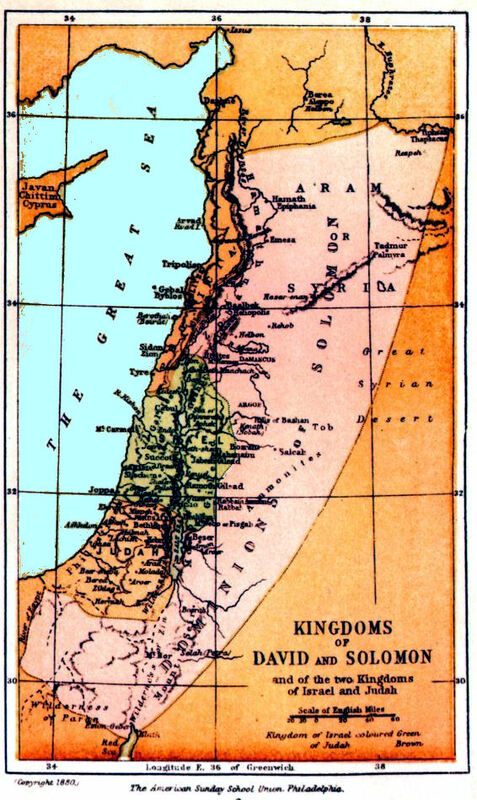 ; his influence probably extended from the Gulf of Aqaba to the Euphrates but did not included Philistia - the vicinity of the present-day Gaza Strip. 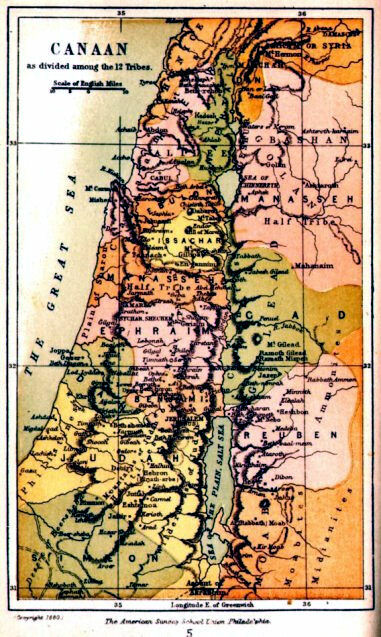 Following the death of his son Solomon some 70 years later, the kingdom split into two weaker states: Israel, conquered by Assyria in 722 BC; and Judah, conquered by Babylon in 586 BC. 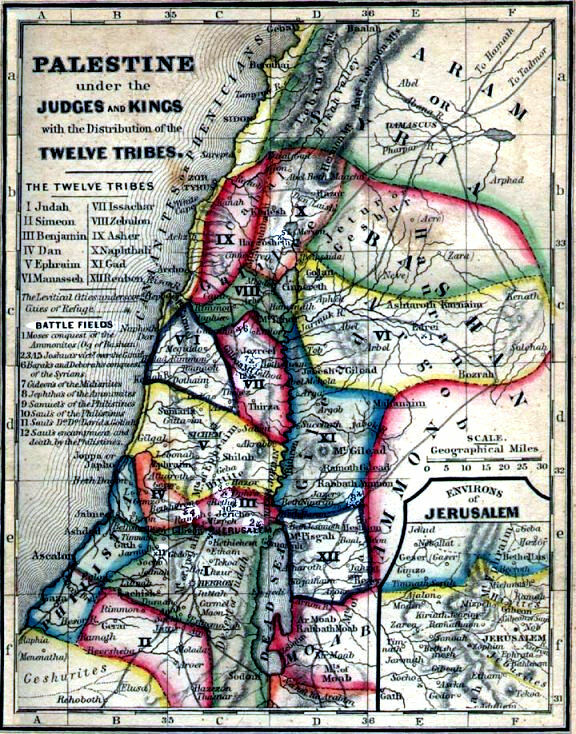 After a series of foreign rulers, Jews again experienced approximately a century of self-rule under the Maccabees between 166 B.C. 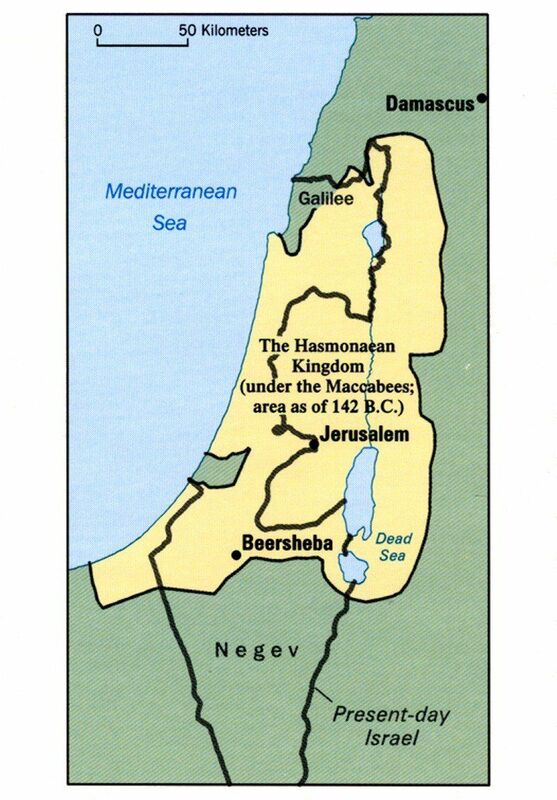 and 63 B.C. 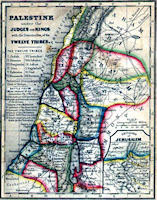 Although the bounds of this kingdom extended into what is now western Jordan, they did not encompass parts of the Negev and Galilee that are now Israeli territory. 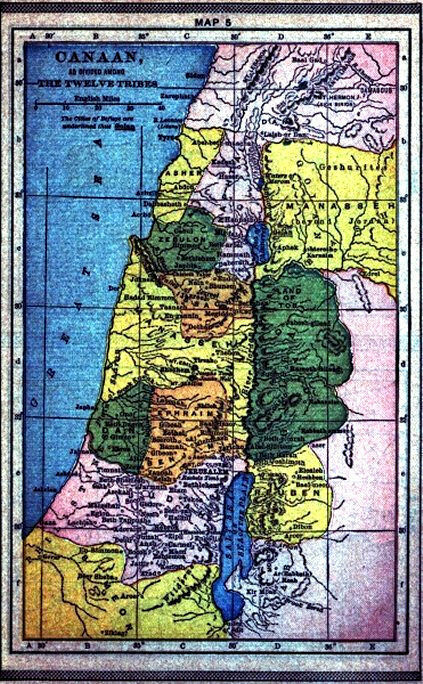 The Roman conquest ended Jewish autonomy, and, after several Jewish revolts, Rome expelled many Jews from their homeland, which the Romans called Palestine. 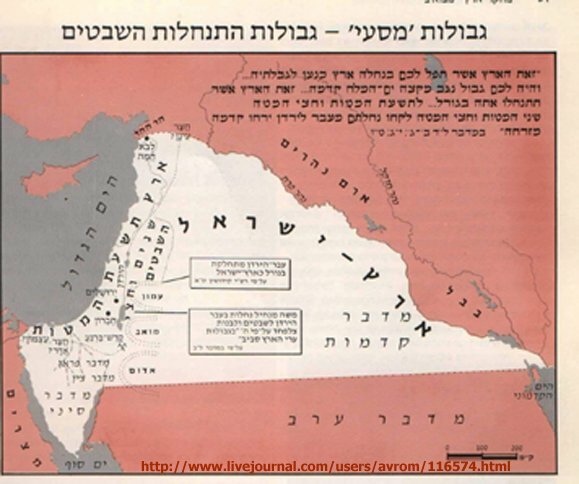 Most of the world's Jewish population remained outside Palestine for the next 18 centuries.